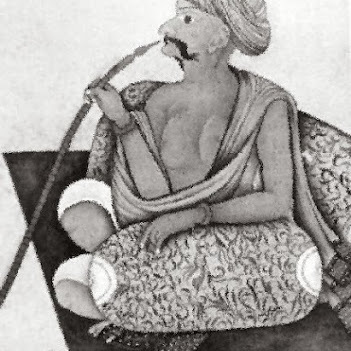 Shrimant Maharaja Sir Khanderao II Gaekwad, Sena Khas Khel Shamsher Bahadur, GCSI (1828–1870) was the Maharaja of Baroda State from 1856 to 1870. He was the third son of Shrimant Rajashri Maharaja Sayajirao Gaekwad II. He succeeded to the throne on the death of his eldest brother and the king Maharaja Ganpatrao Gaekwad on 19 November 1856 and reigned till his death on 28 November 1870. He was knighted as GCSI in 1861. 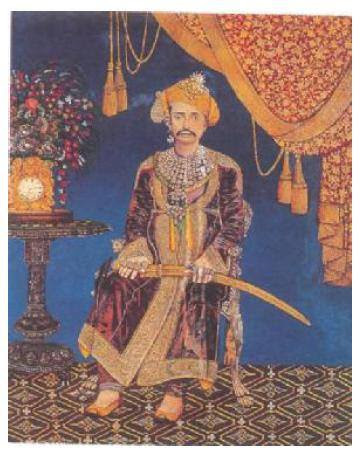 He died suddenly in 1870 and was succeeded by his brother Malharrao Gaekwad but Malharrao was later deposed by British and widow of Kanderao II, Maharani Jamnabai Sahib Gaekwad, later adopted a boy from the related family, who became the next ruler of Baroda State – Sayajirao Gaekwad III. During his reign the Baroda State started the narrow gauge railway, known as Gaekwar’s Baroda State Railway. It was started in the year 1862.